* On the weekend of her new release, The Dodo Knight, we invite you to get to know one of our favorite authors, the incomparable, Michelle Rene! 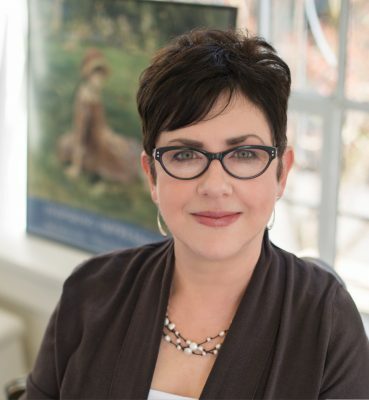 Recently I had the opportunity to interview the creative advocate and the 2017 CIBA Overall Grand-Prize Winning Author, Michelle Rene, in our 10 Question Interview Series. It is no wonder her novels, short stories, and articles are consistently gaining recognition and winning awards. She is not only over-the-top talented, she is also generous with her time. Michelle Rene won the CIBA Overall Grand Prize in 2017 for her novel, Hour Glass, a unique and entertaining twist on the Calamity Jane legend, complete with engaging characters and extraordinary storytelling! A novel we highly recommend. Michelle Rene: I’ve been writing since I was a kid. I actually spent a whole summer vacation hand-writing a two-hundred-page novel when I was thirteen. However, I was also very invested in art. I had my first artist job in video games at age sixteen, so when it was time to choose my career/college path, I chose to go to art school. this ever-changing literary world. It was in 2014 that my first novel was published. I Once Knew Vincent went on to receive several indie awards, including Chanticleer’s First in Category for the Chaucer Award. Since then, I’ve had numerous novels, novellas, short stories, and essays published. Several went on to win significant indie awards. I’m extremely proud to say my novel, Hour Glass, won Chanticleer Review’s Best Overall Book Award for 2017. Chanticleer: We are very proud of your Overall WIN, as well! Congratulations! Let’s talk about genre. What genre best describes your work? And, what led you to write in this genre? Michelle Rene: I have a love/hate relationship with genre. The necessities of it are obvious. In the world of marketing, we have to know how to market a story and who to market it to. As far as my reading habits, I just look for a good story. I don’t really care what kind of story. In writing, I like that same freedom. That being said, I would say I write historical fiction and speculative fiction. Every once in a while, they overlap. I call myself a creative advocate, and most of my life has been in the pursuit of creativity. Writing speculative fiction quenches that thirst. As for historical fiction, I’m a huge museum buff, and history fascinates me. I count it a duty to try to make time periods and historical figures come to life as something more than names and dates on a page. 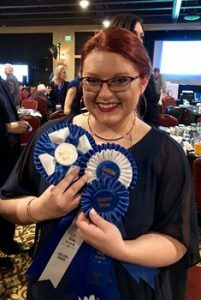 Chanticleer: That’s what we love about you – and that’s why Hour Glass won! Do you find yourself following the rules or do you like to make up your own rules? Michelle Rene: I’m not a fan of writing rules. The idea is rather rigid for something as creative as writing. I think there are good practices and guidelines to be aware of, but I always cringe when I hear someone say, “you can’t…” when criticizing someone’s stylistic choice. For every hard-and-fast writing rule, there is someone who broke it beautifully. My advice for emerging authors who ask for my “rules” is rather unimpressive. Don’t give up. That’s my only rule for writing. Keep going. Write more. Figure out your voice through trial and error. Chanticleer: Really, that’s the best advice anyone could give. Don’t Give Up. We should make t-shirts… What do you do when you’re not writing? Tells us a little about your hobbies. Michelle Rene: I’m a trained artist, so I like to paint, sculpt, draw, etc. I’m a firm believer in the idea that all creative ventures work toward telling a story in some way. I adore museums, reading, audiobooks, and learning new things. I’m also a belly dancer and occasionally perform at festivals and Renaissance fairs. Chanticleer: I’ve seen your costumes! You’re serious about everything you do. That’s very impressive. Where do your story ideas come from? Michelle Rene: I have no idea. Get it? Seriously, I tell everyone that my muse is extremely abusive. I once read that an author pictured her muse as this quiet girl who whispered beautiful, creative things to her through the bars of a vent. Mine is a sledgehammer-wielding jerk who shows up when I’m trying to sleep and regularly bashes in my head until I write the story. Sometimes, I see something interesting at a museum or a get inspired by a painting, but the story I want to tell hits hard and is a nuisance until I write it. Chanticleer: Good for you to pay attention to that muse. I mean, how could you help but pay attention! Name five of your favorite authors and describe how they influence your work. Michelle Rene: I have an extremely eclectic taste in reading, so this will look like a random list. Harper Lee because To Kill a Mockingbird was one of the first books I read over and over again. She showed me how to inject poetry in your prose in a simple way. David Sedaris because I’ve never laughed so hard in my life, and he taught me about humor in the absurd. Mary Roach because I never knew I liked reading or writing nonfiction until I read Stiff. Neil Gaiman because he has the same skeptical beliefs I do about genres and writes that way. Finally, Charlaine Harris because she’s one of the only authors who can write about vampires, shifters, and fairies, and I’ll eagerly read every book in her series. 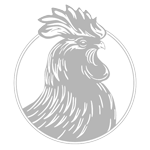 Chanticleer: Great list of authors. I, too, love Mary Roach for Stiff, but I suppose that’s no surprise to those who know me… Give us your best marketing tips, what’s worked to sell more books, gain notoriety, and expand your literary footprint. Michelle Rene: There are two things I’d list here. One is a slow burn marketing technique, and the other is a quick one. The quick boost is to run a sale (either discounted or free) and blast it through every social media and subscription channel you can for the day the sale begins. I’m not a believer in keeping your book discounted for more than a few days though. The slow burn technique takes a lot more effort but has the longest tail of benefit. Go to conferences, enter contests, and teach classes where you can. If you do those things, you will connect with amazing people who can help you along the way in ways you can’t imagine yet. 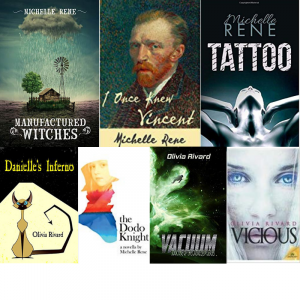 Some of Michelle Rene’s other books for you to explore! Alice Liddell was the muse for Lewis Carroll’s Alice in Wonderland. But before the book was published, a rift opened between Carroll and the Liddell family. Also dubbed the “Liddell Riddle,” historians still speculate as to what happened to separate the famous author and his muse. Michelle Rene has imagined a beautiful and heart-breaking story of a special friendship and its unfortunate end. 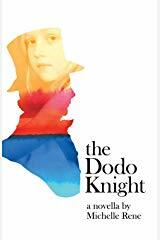 Told from the viewpoint of Alice herself, The Dodo Knight will transport you to Victorian England… and into the heart of a very special little girl. Pick up your copy of The Dodo Knight today! Chanticleer: Good tips. Thank you for those. What are you working on now? What can we look forward to seeing next from you? Michelle Rene: I’m working on two projects. One is a sci-fi mystery series about a psychoanalyst who can go into peoples’ minds. Currently, I have the first book done and am working on number two in the series. The other project is a historical fiction novel based Dr. Mary Edwards Walker. She was a Civil War surgeon when women weren’t allowed to do that, and she was the only woman to be awarded the Medal of Honor. Chanticleer: Oh, both sound delicious! I cannot wait to read them. Speaking of readers, what is the most important thing a reader can do for an author? 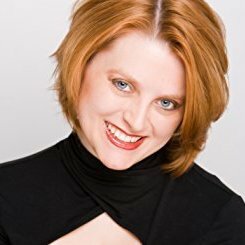 Michelle Rene: Rate our books, review our books, tell your friends, and share our posts. In today’s literary world, there is a sea of books coming out every day. Word of mouth is our best long-term sales generator. If you tell people you liked my book, they are more likely to believe you than any advertisement I put out there. Chanticleer: This is so true. Thank you for saying that. What excites you most about writing? Michelle Rene: It is a powerful and equalizing force in the world. As long as you can string sentences together, you have a voice. Your story can be told. It doesn’t matter how old or young you are. Your wallet and waistline have no bearing. You don’t even have to be formally educated. Everyone’s story is possible, and stories change the world. Chanticleer: Thank you, Michelle, for participating in our 10-Question Author series. You are delightful! Don’t you want to follow and like everything Michelle does? I do! Please check out her links – and share this interview with your friends! Michelle Rene is a creative advocate and the author of a number of published works of science fiction, historical fiction, humor and everything in between. 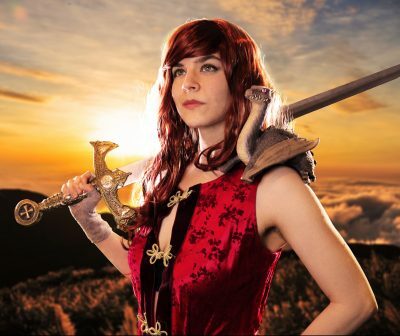 She is the author of novels, short stories, essays, and video games. 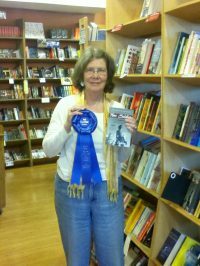 She has won indie awards for her historical fiction work. 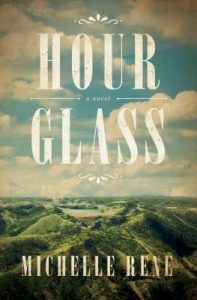 Her novel, Hour Glass released to rave reviews from Kirkus and Publisher’s Weekly. It won Chanticleer Review’s “Best Book of the Year” award in 2018. Her experimental novella, Tattoo, released with a starred review in Publisher’s Weekly and was listed in Foreword Reviews top eight sci-fi/fantasy books this spring. When not writing, she is a professional artist and all-around odd person. She lives as the only female, writing in her little closet, with her husband, son, and ungrateful cat in Dallas, Texas.